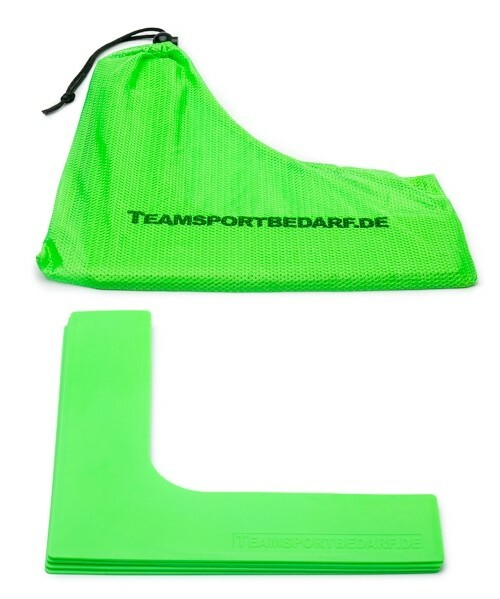 A set of 4 corner markings with a bag. 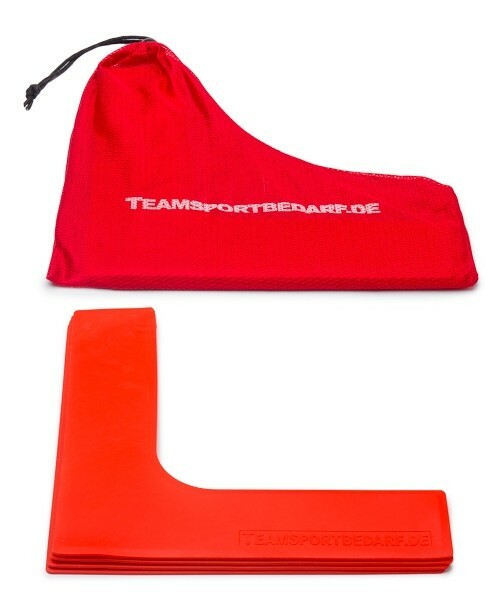 The markings made of elastic plastic are strong and durable. 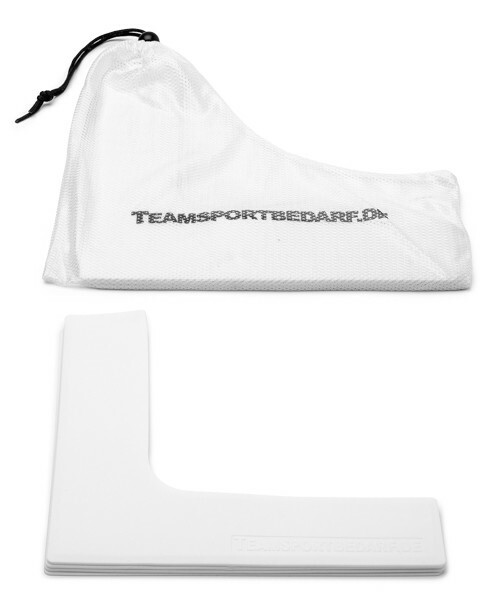 Their side lengths are 25 cm each, they’re 6 cm wide and 2-3 mm thick. 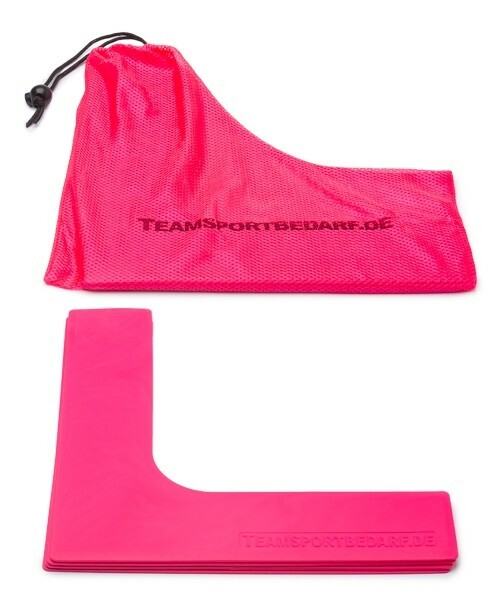 They can be used to mark playgrounds or parcours, irrespective of whether on lawns, artificial lawns, hard courts or in the hall. 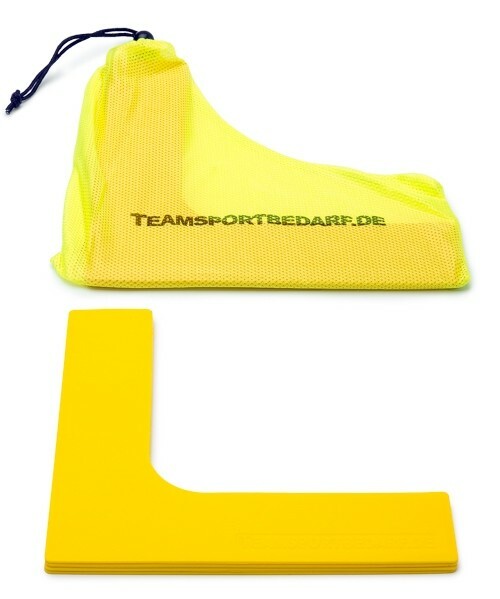 Our corner markings are ideally suited for dribbling, motion sequence, coordination or cognitive training. 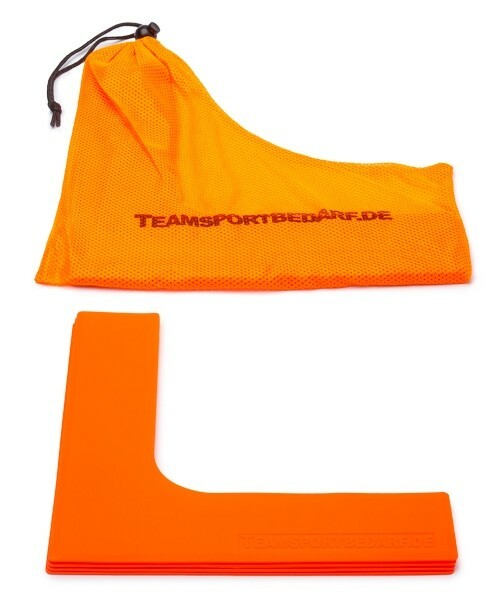 Teams can immediately order corner markings in their team colors! 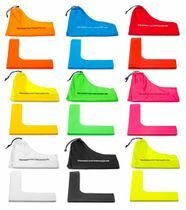 9 different colours (orange, blue, red, yellow, neon green, pink, white, black or neon yellow) are available. 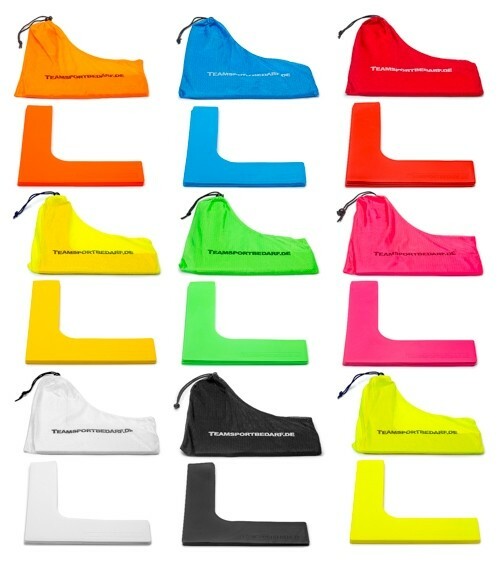 Just select the desired color above and add it to the cart. Within the set of 4, colours cannot be mixed. 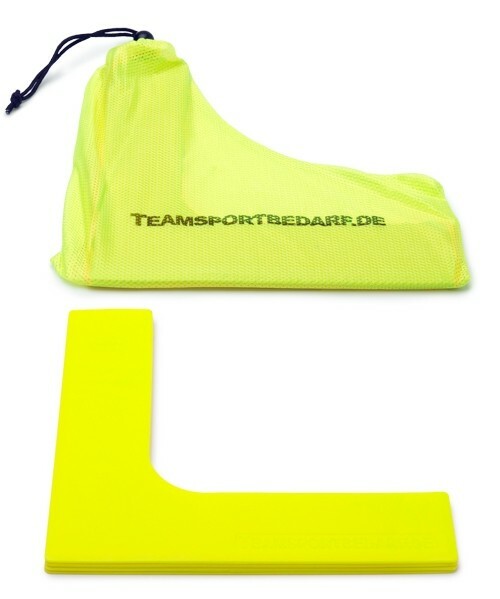 The matching training exercises and additional marking equipment can also be bought in our shop. 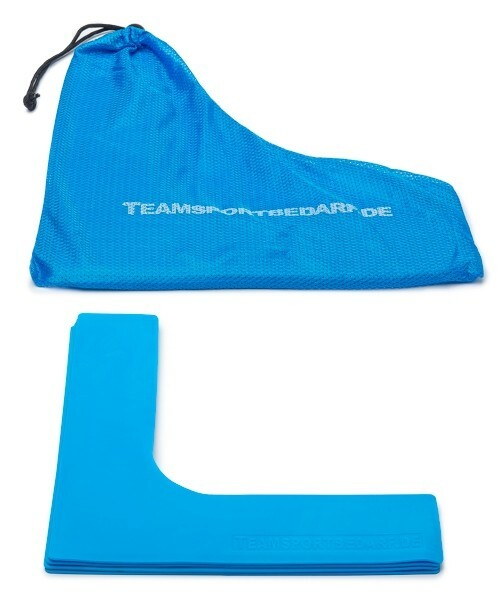 Teams from professional sports already use our training supports! 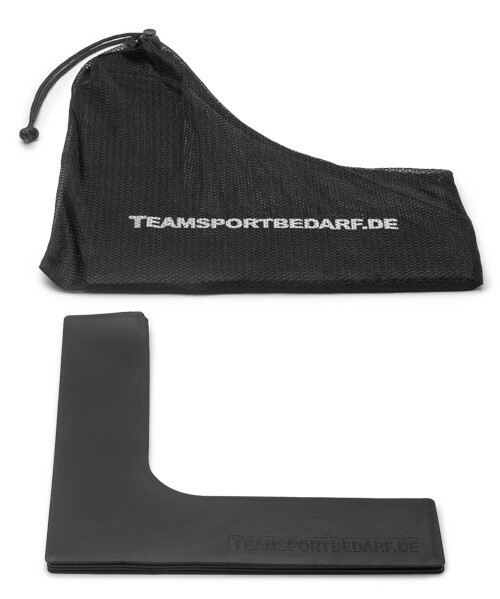 © Copyright 2019 Trainingsunterlagen24 GmbH. All rights reserved.